For the Mk1 Audi TT 225hp. 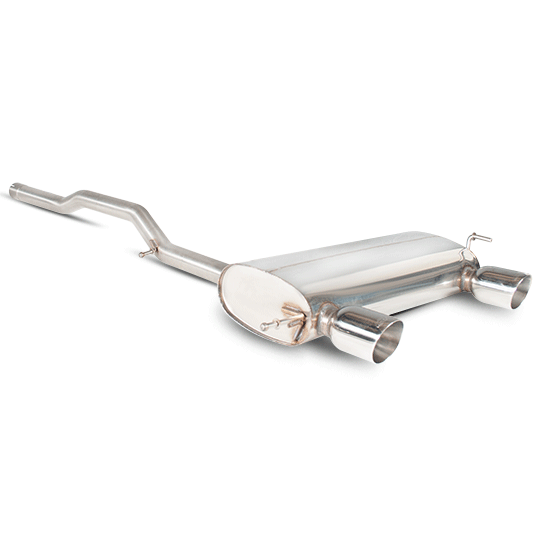 1999 onwards we can offer a superb aftermarket exhaust system, and not surprisingly, especially after their success in supplying race teams in the British Touring Car Championship (BTCC), VW Cup, Time Attack, this is manufactured by Scorpion Exhausts. For the Mk1 Audi TT 225hp. 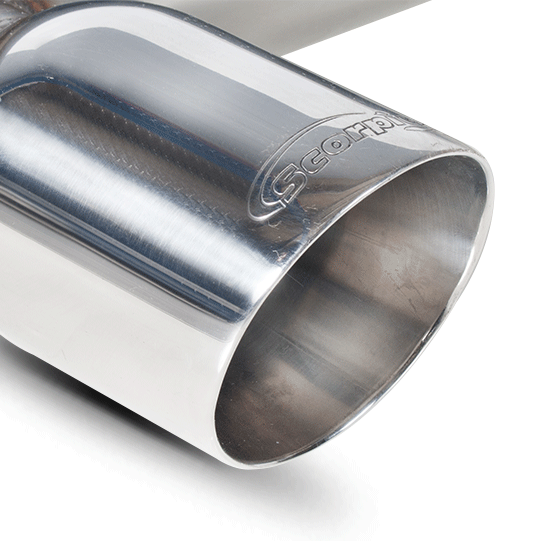 1999 onwards we can offer a superb aftermarket exhaust system, and not surprisingly, especially after their success in supplying race teams in the British Touring Car Championship (BTCC), VW Cup, Time Attack, this is manufactured by Scorpion Exhausts. For the Mk1 Audi TT 225hp. 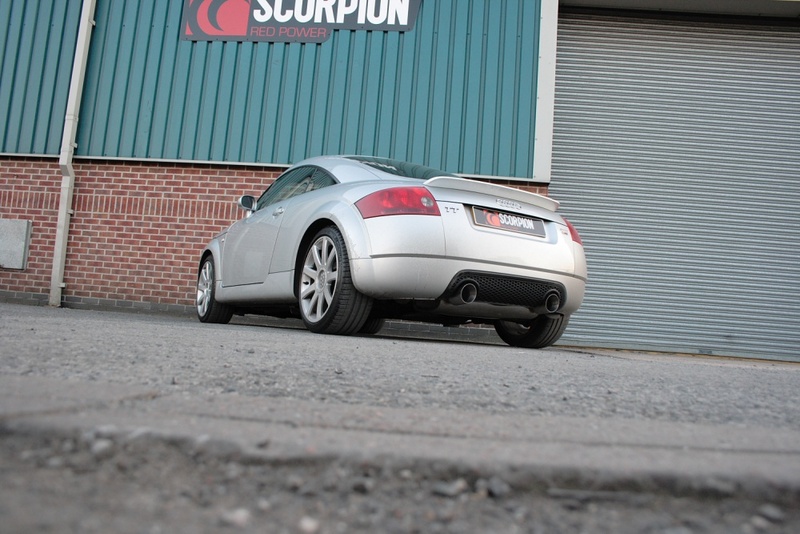 1999 onwards we can offer a superb aftermarket exhaust system, and not surprisingly, especially after their success in supplying race teams in the British Touring Car Championship (BTCC), VW Cup, Time Attack, this is manufactured by Scorpion Exhausts. 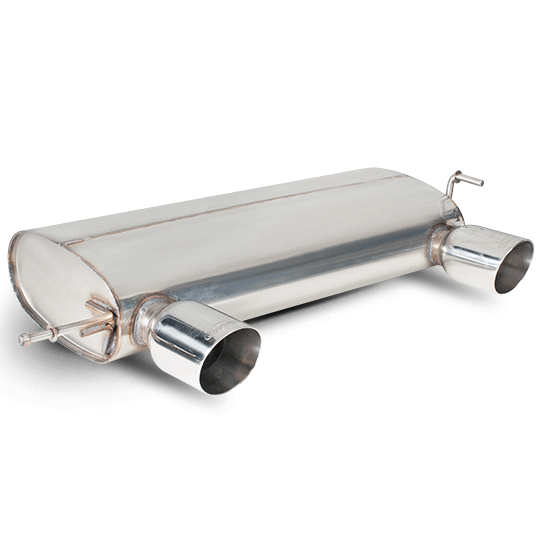 This cat back system is manufactured with 70mm stainless tube with 100mm rolled end design tailpipes. These are of the same style as the original exhaust but being larger look absolutely amazing, without causing any clearance issues. Through clever engineering of the rear silencer Scorpion have been able to omit the centre pipe silencer to aid gas flow, without adding the obtrusive booming inside the car, that happens with some manufacturers exhausts.